Before I get to this delicious salad, I want to mention this months round up for Family Recipes; Memories of Family, Food and Fun! I am hosting for the month of April. 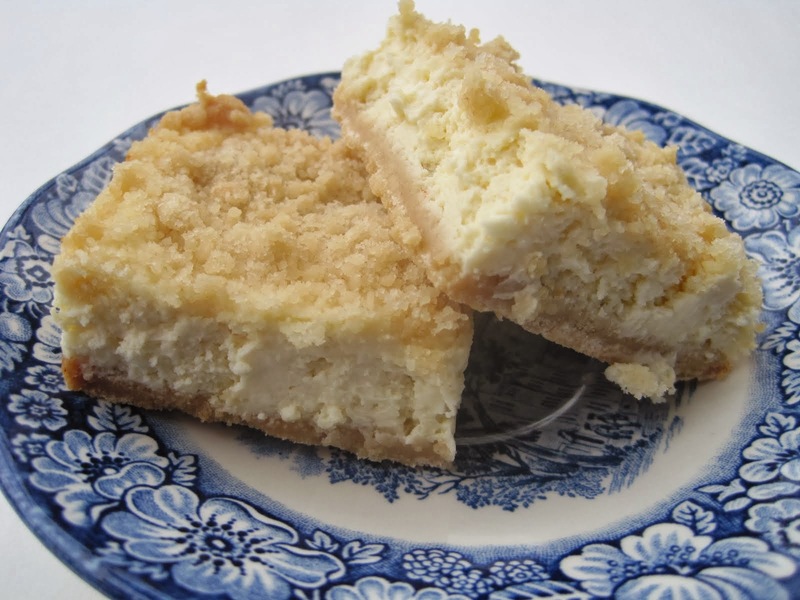 Make a dish that is a favorite of your family's, whether it's yours, your moms, an aunt, cousin or whoever, and submit it to me, (Lynda), at whatscookin52 at sbcglobal dot net. Post it on your blog between now and April 30, 2010 (USA EST). All submissions must be in English, please. Provide a link in your post to this page. 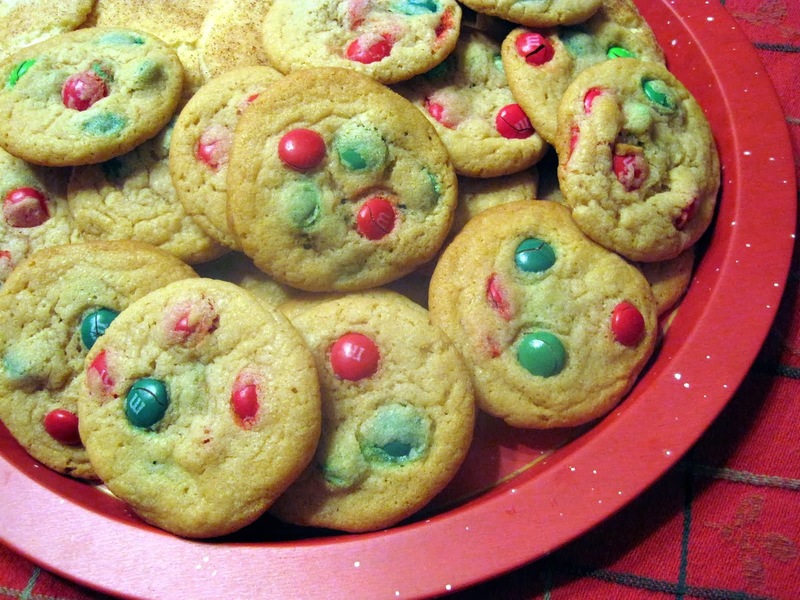 Email me with the recipe name and the URL of the post. I also need the URL of your blog and your location. New posts only please. You can send a photo, or I will grab a photo from your post. For complete rules, go here. Now for this salad. When the weather warms up, I love having a large salad for lunch most days. Since it has been around 80 degrees for the past several days, a nice cool salad just hit the spot. I put together this main dish salad using ingredients I had on hand. I had some left over Rotisserie Chicken from Walmart, so I added it too. I love romaine lettuce as the basis for my salads, and then I pile on whatever else is in my fridge. The strawberries have been so good, so I decided to include them. There's not really a recipe as it depends on how many salads you are making and what ingredients you have. Here's what I did. Balsamic vinaigrette: I only made a small amount to last a few days. 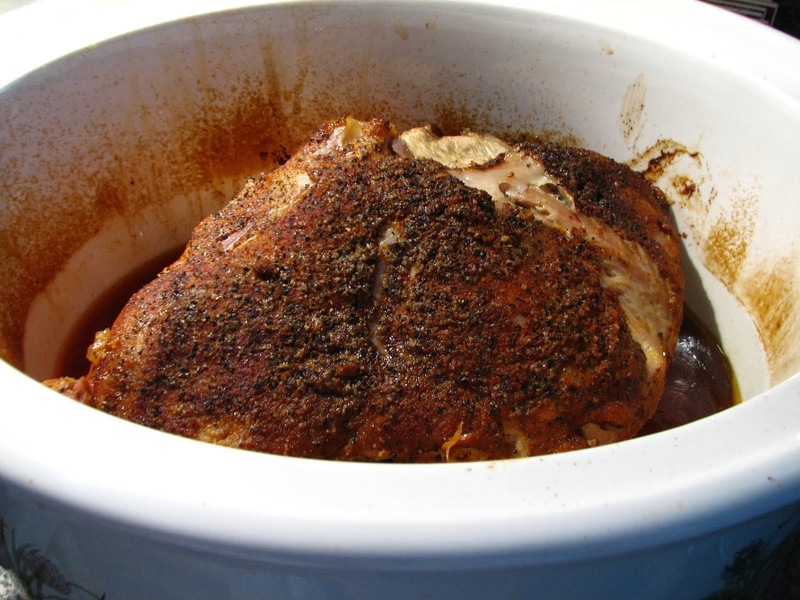 I used 1/4 cup olive oil, 2 tablespoons balsamic vinegar, pinch of salt and pepper and 1 teaspoon sugar. I placed all ingredients in a jar with a lid and shook until well combined. Other vinegars may be subbed for the balsamic, and canola oil may be used instead of olive oil. 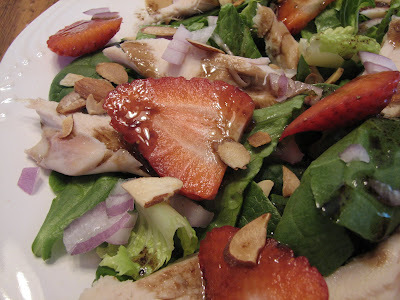 This is a cool and delicious salad with the strawberries and balsamic vinegar. Hope you'll give it a try! I love salads like this Lynda! The first time I had something similar was at a local diner and I think about it often! YUM! Wow, this looks amazing--beautiful and delicious! Looks delicious! The strawberries have been so good right now - I put a big bag of them up in the freezer. I think you're days are actually hotter than we are right now! Course we'll be catching up to that and surpassing it before long, ugh. This time of year when I'm working in the yard I love a good light salad. This looks like a winner! What a healthy and delicious salad - love the flavors and textures. That looks like one delicious salad that would be perfect to eat at any time! 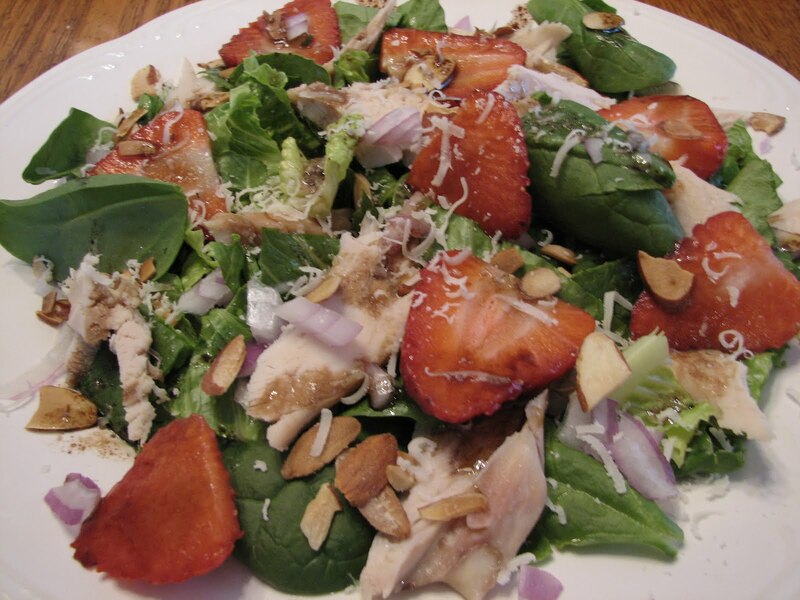 strawberries and spinach were simply meant to be paired together in a salad. this looks perfectly spring-appropriate and delicious! Great idea! Strawberries make this salad look so fresh and summery! Nice simple vinaigrette too. Will definitely try this, Lynda! I love strawberries on salads, but don't think to do it at home. This does look refreshing and delicious! I love Spinach salads. For me its an anything goes mind set with these. Looks delicious. Just so happens I just picked up some fresh spinach yesterday! For the life of me I don't know how to do the link thing. I've tried in the past and have messed it up royally. I'd like to link my Mom's Japanese cucumber salad. In the meantime, loving your salad! It looks so vibrant and abundance with goodness. And I am ashamed to say, that I would eat all the strawberries first, grins. I did intend to enter your family challenge last month, but unfortunately, time just evaporated. I will try for this month.